Keyboard Corner has been selling pianos for over 3 decades. Our second hand pianos are all especially selected from one of Australia's leading importers of secondhand instruments. All of our secondhand Yamaha pianos are premium Japanese built instruments, so you can be assured of tone and build. We select only the very best models ensuring that you get a quality piano to suit your budget. Every instrument has been thoroughly inspected and setup to ensure that your piano is at best working standard prior to delivery. A piano needs specialised handling and installation. As such every piano is transported by one of Melbourne's best piano handlers. We can arrange to facilitate delivery outside our local area. If you are outside the Melbourne metropolitan area, please contact us so we can advise if we are able to supply to your area. Every piano we receive is thoroughly setup and tuned by one of Australia's best piano technicians. All pianos are setup in our showroom and again once your piano is delivered. 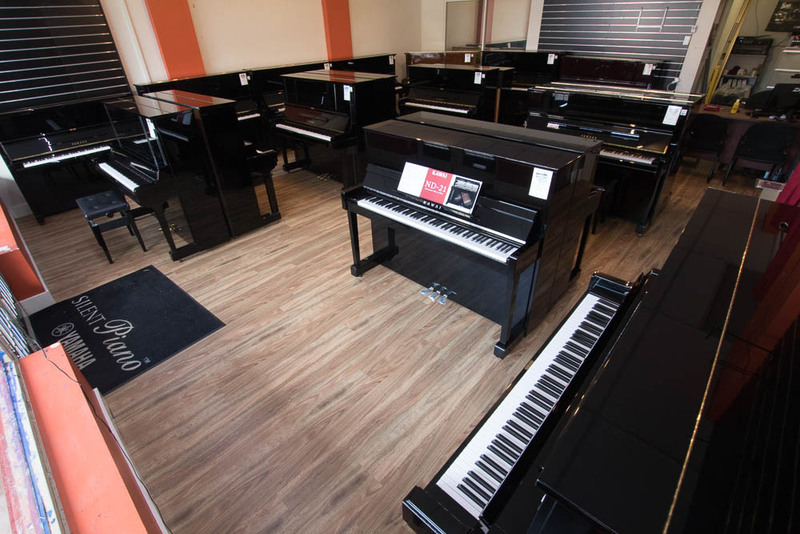 We offer a 10 Year warranty on every secondhand Yamaha or Kawai piano we sell. Every instrument is inspected and maintained by a highly qualified technician to ensure that the piano is in the best condition possible. This means that you will receive a piano that will give you many years of playing and create a family heirloom.